Rock and Tejano with a six-piece band: Pancho Villa from a Safe Distance includes one mezzo-soprano and one tenor and is fluidly bilingual. At the Texas Theatre in Oak Cliff on May 4. For the past two years, Ignite/Arts Dallas director Clyde Valentín has provided Meadows students of all disciplines with important experiences through collaborations with local and visiting artists and arts organizations in North Texas. His focus has been to serve the underrepresented and under-resourced and help students find full-time jobs after graduation. Now inching closer to its third anniversary, his initiative is slated to foster new relationships and build on existing ones, transition into year-round programs and host the bilingual rock and Tejano opera Pancho Villa from a Safe Distance at the Texas Theatre in Dallas in the spring. Dallas Theater Center and SMU Meadows / Ignite Arts Dallas, in association with the AT&T Performing Arts Center, presented a musical theatre production of Shakespeare’s The Tempest, a community participation project conceived by Lear deBessonet and directed by Kevin Moriarty, with book, music and lyrics by Todd Almond. For Valentín, sustaining arts and community engagement is vital to the success of the program, as well as maintaining consistency in each partnership. This is something he said he hopes to magnify in the coming year. 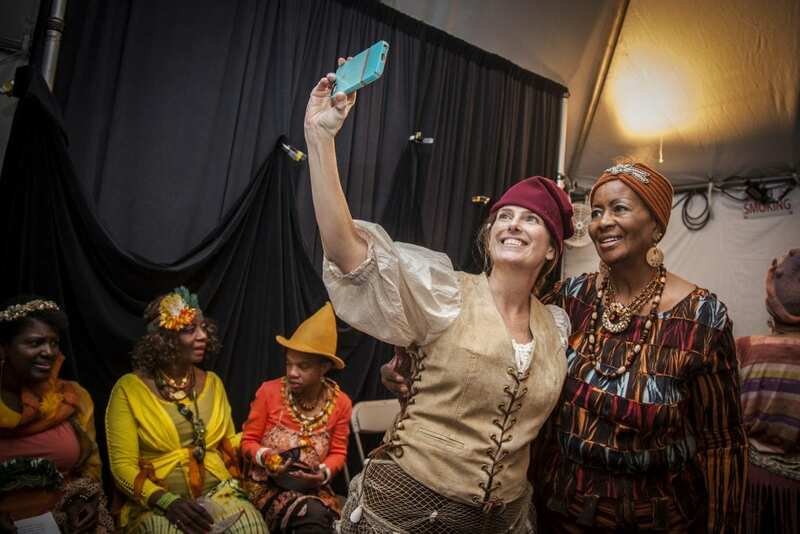 Ignite/Arts’ goal is to maintain some of the ongoing programs it has established, such as its relationship with the Dallas Theater Center and Public Works Dallas, while also generating new programs and projects. For its three-year anniversary in May 2018, Ignite/Arts has commissioned an artist to create visual markers mapping the relationships the program has built since 2015, showing the body and diversity of work done. Valentin hints at a possible anniversary party to display the map and discuss the program’s successes and areas of opportunities, but no official announcement has been made as of yet. 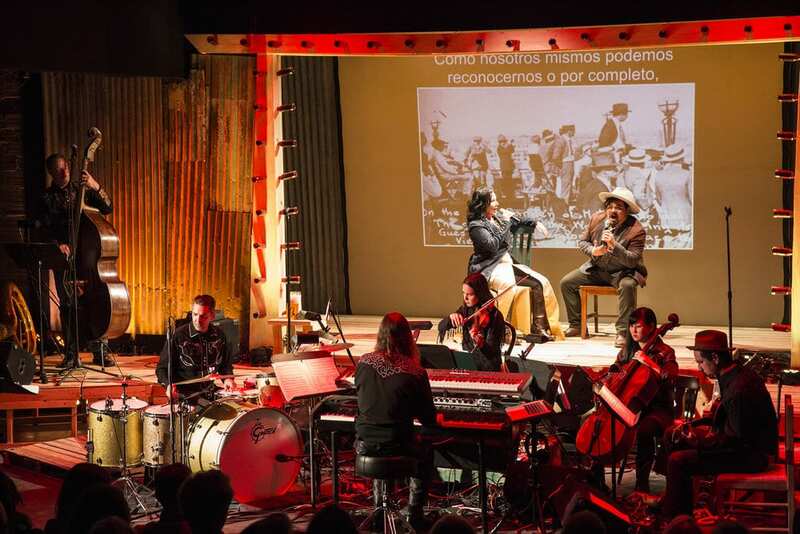 Ignite/Arts’ next highly anticipated project is its collaboration with Austin-based composer and director Graham Reynolds and Mexico-based librettists Lagartijas Tiradas al Sol for the genre-bending rock opera Pancho Villa from a Safe Distance. The opera, about the life and death of the Mexican Revolution hero Pancho Villa, also examines the Mexican and Mexican-American impact on West Texas culture and politics. Transcending rock and Tejano with a six-piece band, Pancho Villa from a Safe Distance includes one mezzo-soprano and one tenor and is fluidly bilingual. Valentin hopes to fill 300 seats for the performance, which will be hosted by the Texas Theatre in Oak Cliff on May 4. “It’s the perfect spot for a Texas-based piece that also has an experimental film component,” Valentín says. As far as what could improve over the next year on a campus level, Valentín says universities of all stripes always need more time and money to invest in developing more effective and community-engaged programs. With this, more year-round programs that demonstrate success and continuity and a continued development of new initiatives and support of new work is possible. “Arts are all around us, from food to storytelling to rituals. It’s something to be celebrated, respected and enjoyed,” Valentín says. For tickets and more information about Pancho Villa from a Safe Distance.